Dangerous good training programs are extremely helpful in covering the rules and the regulations for everyone involved in working with dangerous goods but this training also covers the proper way to store, handle and transport these goods so that they pose less of a risk to your employees, your company, the waterways and the public at large. However, because this training covers a lot of material in a small amount of time following through on the dangerous goods training at your own company will help ensure that you are not only in compliance with all the rules and regulations but that you are ensuring the safety of your employees as well. If you are looking for some easy and low cost ways to follow through on that dangerous goods training here are some tips that can help you do that. Using posters that serve as reminders and check lists can help employees remember the main points they learned in their dangerous goods training. For example, in the storage area you can post up signs reminding employees of special storage safety procedures, checking seals and where and how they can store containers containing dangerous goods. Posters can also be used in the transport/shipping area as well. Reminders to wear safety clothing and to wash properly may seem a bit silly but can do wonders to increase the safety of handling dangerous materials. Spot checks can alert you to any mishandling of dangerous materials and is a great way to follow through on that dangerous materials training. It also has the added advantage of keeping those employees who tend to get lazy and take short cuts on their toes and complete their jobs properly for fear of sanctions such as time off work for being careless. 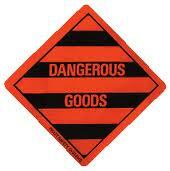 Taking time to follow through on that Dangerous goods training has many benefits for your company. First if you keep records of your spot checks and post reminders on the handling and transport of these goods and an accident happens you have proof that you exercised due diligence in trying to protect your employees and the community. Second, failure to comply with the rules and regulations of handling and transporting dangerous goods can cost you a ton of money both in fines and hold up on transporting. By following through the training, you are much more likely to stay in compliance than you are by simply just assuming that everyone understands what they learned and are applying it. Third, by following through on the training you will earn the reputation of someone who really cares about their employees and the public’s well fare. In the long run, this may well lead to more business as people and other businesses will see you as someone to trust. So take that Dangerous Goods Training one step further and follow through by spot checks and reminders and create a safer environment for all.